Seasons Restaurant would like to invite you to our Mexican Night special filled with explosive flavors!!! This Friday May 25, 2018 from 5-8:30pm. Take a look at our menu for that day and come and join us from 5pm to 8:30pm. Menu's attached. Price is $30.00 per person and includes several courses of delicious healthy food... many items grown here in our fantastic greenhouse! 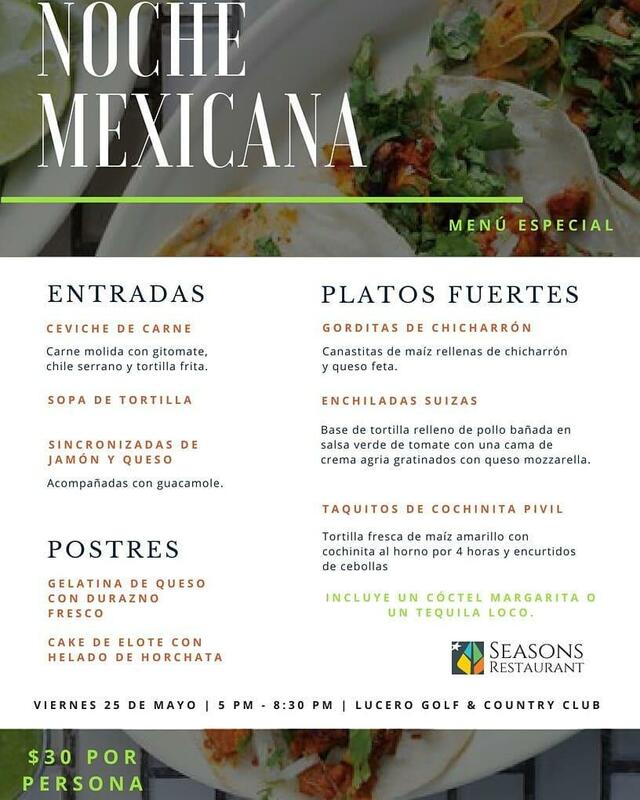 Restaurante Seasons te invita a que disfrutes de deliciosos sabores mexicanos en nuestra noche Mexicana. Este viernes 25 De Mayo de 5pm-8:30pm. Costo de $30.00 por persona.